COLUMBIA, Mo. ­— Deputy Chancellor Mike Middleton has appointed Noor Azizan-Gardner as Chief Diversity Officer for the University of Missouri. Azizan-Gardner will coordinate the Chancellor’s Diversity Initiative (CDI), support MU’s commitment to equal opportunity and affirmative action, and serve as a consultant on matters of diversity initiatives being sponsored and funded by the university. Priorities of the Chancellor’s Diversity Initiative include efforts to increase the diversity of faculty, staff and students and to promote a welcoming and inclusive campus climate. Azizan-Gardner has served as interim Chief Diversity Officer at MU for the past year. In this role, she provided vision, leadership, coordination and oversight to campus-wide diversity efforts. She previously served at MU as the director of diversity programming and professional development in the CDI. Azizan-Gardner received her B.S. in Business Administration and her MBA with a concentration in International Management from the MU Trulaske College of Business. She began her career as a management instructor at Stephens College and Columbia College. Her interest in diversity and cultural competency began when she joined the MU School of Journalism in 1990 and was involved in various multicultural efforts such as the Minority Management Program, which prepared minority journalists to take leadership positions in newsrooms around the country. Azizan-Gardner has worked with intercultural issues locally, nationally, and internationally for more than 18 years. Throughout her career, she has presented many intercultural competency lectures and workshops and has consulted on diversity and intercultural competency for the private and public sectors, the police and armed forces. The CDI provides resources and services to foster a diverse environment on the MU campus. Programs and activities of the CDI include the bi-annual MizzouDiversity Summit, the Diversity in Action seminar series that highlights diversity-related research at MU, and the You in Mizzou dialogue series. The CDI also houses the MU Equity Office, which is a resource for faculty, staff and students who believe they may have been subjected to unfair or inequitable treatment. 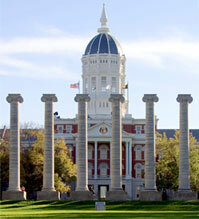 The office has recently launched the “Show Me Respect” campaign to encourage civility on the MU campus.